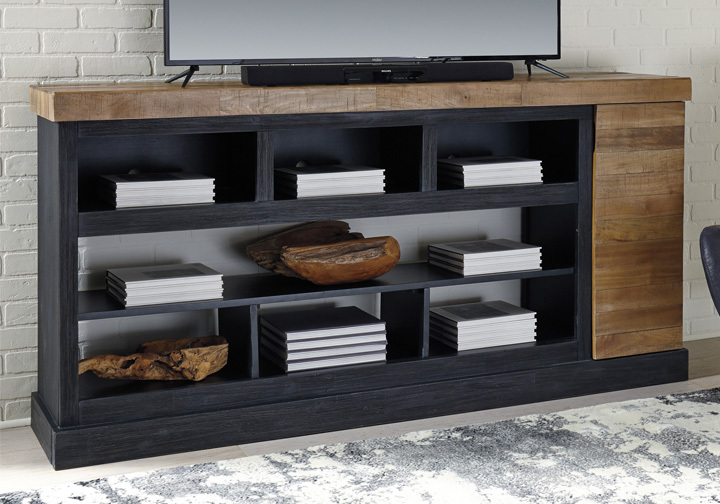 With its warm, grainy finish and cool asymmetry, the Tonnari TV stand with fireplace option sure takes center stage. 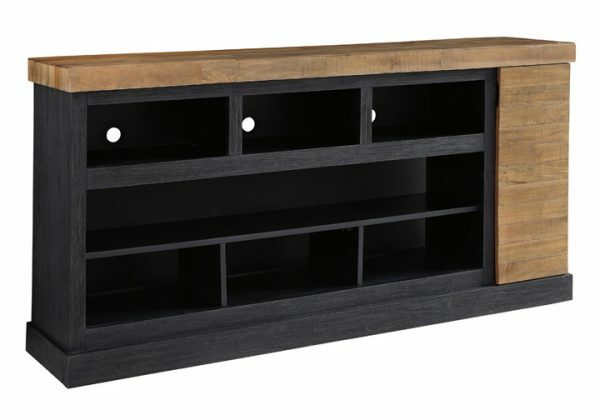 Its two-tone treatment merges a lightly finished butcher block design with sleek black for a fresh, modern twist. 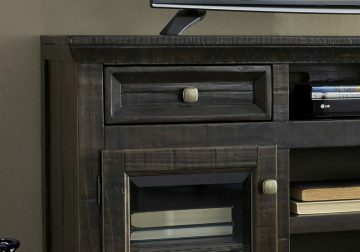 Compatible with not only the W100-22 large fireplace insert but also our W100-32 split integrated audio insert for superior sound quality, this TV stand that fits a 75″ television puts on a show in more ways than one. 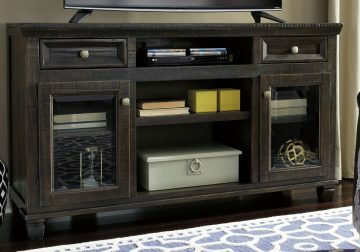 Made with Mango and Acacia veneers and select hardwood solids in a two-tone, dark brown and light brown finish scheme that highlights the textural and natural grain characteristics. Asymmetrical design with a butcher block veneer layup on the door. Thick tops with waterfall veneer look on edge. Cord management openings and vent holes throughout. Large center opening that is compatible with our W100-22 large fireplace units or use the shelving insert. Fits a 75″ TV.